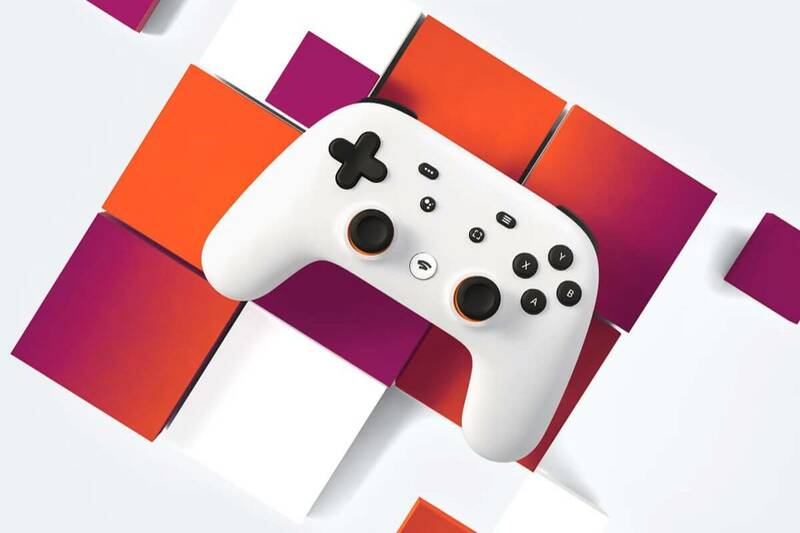 Earlier today at GDC, Google announced Stadia, their entry into the game streaming market that is quickly heating up. During the presentation, the company talked up the advantages of utilizing their datacenters to scale performance far beyond that of traditional consoles. In fact, Google claims Stadia is more powerful than both Xbox One X and PS4 Pro combined. Similar to Microsoft's upcoming xCloud, Stadia uses custom-built servers to physically run games. Google partnered with AMD to ensure each server contains an x86 AMD processor running at 2.7Ghz, 16GB of RAM, and a custom AMD GPU that boasts 10.7 teraflops of performance. Google openly compared Stadia to both Xbox One X and PS4 Pro which run at 6 teraflops and 4.2 teraflops, respectively. Now, by this time I'm sure TechSpot readers are rolling their collective eyes considering many of you build high-end gaming PCs in your sleep. Also, a teraflop isn't necessarily the best indicator of performance, but for comparisons sake, just humor me. An Nvidia GTX 1060 6GB is about 4.4 teraflops, while a GTX 1070 is 6.7 teraflops. However, moving up to a GTX 1080 yields about 9 teraflops and the RTX 2080 is much closer at 10.1 teraflops. This means that Stadia's performance is at least on par with an RTX 2080. On the AMD side, Stadia's performance equates roughly to an RX Vega 56 on paper although in practice the GeForce is much, much faster. I make this comparison to point out the value proposition. Microsoft claims that it wants to bring console quality games to every device. However, what if you could bring PC gaming performance to every device? Depending on how Google monetizes Stadia, it may be worth to simply pay around $20 per month for high-end PC gaming. Considering that a mid to high-end graphics card will cost you at least $350, it would take over a year of paying for Stadia to equal the cost of say an RTX 2060, let alone an RTX 2080 which is closer to $730. For now, Google is promising gameplay at 4K running at 60 frames per second with HDR. That's already better than a lot of gaming rigs out there with Google planning an insane 8K/120fps in the future. Google promises that the scale of its cloud infrastructure will allow gaming at unprecedented levels. With the right pricing and games, Google may be well on its way to becoming the market leader in cloud gaming. Because encoded on the fly compressed video and audio sent across the internet via an average connection will match locally rendered image quality on a console. Let alone a high end PC. Or have comparable latency and control response. Maybe if you have gigabit speeds and the connection is flawless it can provide a reasonable approximation. Which virtually nobody has. I know, I know. This is certainly the future. It's also going to be good enough for many people, if just for the convenience alone. People who primarily game on consoles perhaps. But it won't challenge traditional PC gaming just yet, because those people are prepared to pay the extra to do better than consoles. The video compression algorithm alone will dismantle any pipe dreams that it can offer the consistently high image quality of a good box directly under your chosen display. All the finest details are toast when you get complex scenes in motion. Give it a few generations of hardware, software development and importantly consumer upgrades of internet connection performance. Then it might get somewhere close. I'm not waiting around for it though. Lew Zealand, GreenNova343, EEatGDL and 5 others like this. "and provide a great value for casual gamers if they price it competitively"
Oh they won't. Tis' Google. "Now, by this time I'm sure TechSpot readers are rolling their collective eyes considering many of you build high end gaming PCs in your sleep." max0x7ba and TomSEA like this. And there's why it's not as convenient as they make it sound. It could have all the power in the world! But if you can't connect properly to it, it's pointless. Internet connectivity still isn't (on average) reliable enough to go pushing low latency, high bitrate services like this. Now we just need ISP's to remove data caps. I've tried game streaming just within my own home, on a wired 100 Gbit network. Yes, it works. No, it is not an identical experience to playing on local hardware. After trying a few times just to experiment, I've never gone back. Lew Zealand, max0x7ba and JaredTheDragon like this. My Core i9ex, 2080Ti and 32GB DDR4 outperform Stadia. Can't these companies tackle getting internet to everyone first? Then make that connection decent? THEN concentrate on streaming everything? Currently, Internet connections simply aren't up to the task just yet. Plus as others above have alluded to, streaming a game introduces latency and compression of video and audio streams thus causing a lower quality image and audio. On top of this, streaming games over a ropey 4G connection on a mobile us surely not an experience anyone would actively pay for? Conspiracy theory's, Big Game Publishers are trying to make everything subscription based while locking everything down with DRM, Game streaming solves both. Deal with ISP's to get customers to purchase more data allowance? Just a way of recycling GPU's in the datacenter, they're no longer efficient at whatever they were doing (CGI Rendering / AI Learning etc...) so they can now be used for gaming? Nvidia / AMD have a huge markup on their Datacenter GPU's. I think I've run out now. Nope, this is *totally* not going to find itself in long lineup of half-assed failed hardware experiments from Google. So the Google want to collect data of how many time we Teabag the opponents? Now I know what those Google Rewards surveys were for. Yeah when I was playing Assassin's Creed Odyssey through project stream, I was using around 10GB/hr. Obviously this Stadia will be using more. These caps should be banned. I would like to try Stadia out on phone as well when I don't have my laptop with me. Would be cool playing a PC game on my phone. When I was in the GeForce Now beta, I was fortunate enough to be playing a game in a downtown city (Atlanta), where my latency was literally shown as <1ms, also on a gigabit connection. Really good experience. At home, 30 miles away from the server, had a latency of 13ms on GeForce Now. Granted, I wouldn't be playing a multiplayer shooter, but single player experience was quite enjoyable. I don't want to pay for a streaming service I will barely use. Just allow us to buy the games and give us the streaming for free with a few adverts thrown in to make up for lost revenue... unless Google decide to partner with Netflix to bring in a combined tv and gaming streaming service. That would be worth it. Until they get bored and move it to the Google Graveyard... I am very reluctant these days to get invested in Google services. “To some extent you’re talking about doing CrossFire on a single package,” says Wang. “The challenge is that unless we make it invisible to the ISVs [independent software vendors] you’re going to see the same sort of reluctance." Does this mean that multi-GPU technologies like Crossfire and SLI aren't actually dead (like I keep reading about) if Google will start attempting to deliver better performance to the end-gamer by using more than 1 GPU node for Stadia? The question is what are going to be the internet speed requirements? I'm capped at 50 Mbps because my building is so old so I can only get high speed/fiber to the building but not inside. Likely there will be a “minimum requirements” for internet bandwidth, but Google will very likely use different image compression algorithms (just like with Remote Desktop) so that you can still play. Especially if they are targeting mobile devices with less bandwidth than your 50mbps internet. Come to Romania. We have that speed and low latency and we've had it for quite some time. It says right there it uses AVX2; no jaguar supported that. It's going to be just like the next gen xbox and playstation, using downclocked ryzen chip for efficiency. "Multiplayer is also supported, at least between different Stadia players. Distributed physics becomes possible, which means up to 1000 players in Battle Royale titles. There’s also the advantage, according to Google, of getting around hackers and cheaters. Developers can support multi-platform multiplayer, and transfer save files between platforms. Game developers have already been working on MP demos with destructive environments using real-time rigid body physics, allowing for perfect synchronization." I had these two initial concerns when thinking "cloud gaming". And these above were on my immediate list of concerns. Would Stadia's platform/game/distribution, limit the Hardware PC players who want the PC experience of higher frames, ultimate performance, etc. Or even if the PC player could play on the same server's, as his friends, whom are using Stadia. What I find interesting is that I can't think of any games (or at least not any games from the past couple of years, & especially not any of the AAA titles) where the new RTX 2080/2080TIs are able to provide "8K at 120fps" performance...& given how lousy CrossFireX/SLI support has become in game titles, simply stringing multiple 2080s together isn't going to cut it either. Streaming a video file at 8k/120FPS, yeah, that can be done (although I don't think you even need a 2080 for that). But actual gaming? Not gonna happen.